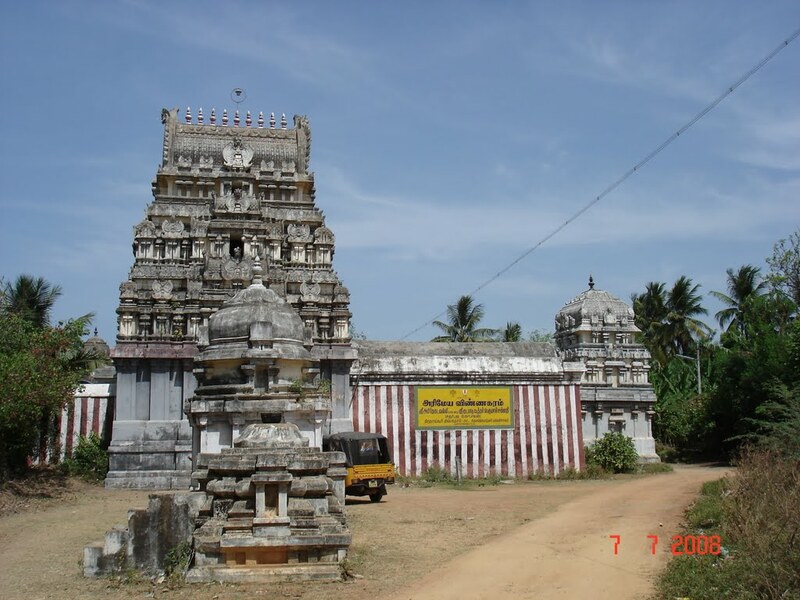 Thiruarimeya Vinnagaram or Kudamudakoothan Perumal Temple is dedicated to Hindu god Vishnu located in Thirunangur, a village in the outskirts of Sirkazhi in the South Indian state of Tamil Nadu. Constructed in the Dravidian style of architecture, the temple is glorified in the Divya Prabandha, the early medieval Tamil canon of the Azhwar saints from the 6th - 9th centuries AD. It is one of the 108 Divyadesam dedicated to Vishnu, who is worshipped as Kudamudakoothan and his consort Lakshmi as Amirtagadavalli. It is one among the eleven divyadesams of Thirunangur Tirupathis and is closely associated with Thirumangai Alvar. The temple is open from 8 a.m. to 10 a.m. and 5 p.m. to 7 p.m and has four daily rituals at various times of the day. 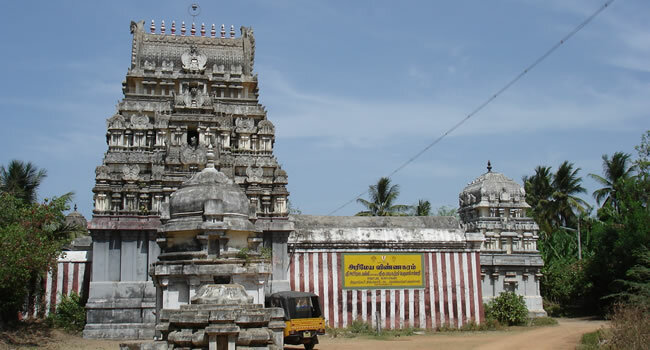 Sri Kuda Maadu Koothan Perumal temple is one of the Divya Desams, the 108 temples of Vishnu Believed to have been visited by the 1 poet saints or Alwars. This Temple is located at Nangur near Sirkazhi in Tanjore district.Sri Kuda Maadu Koothan Perumal temple is vast an inspiring edifice.The main Deity of sri Kuda Maadu Koothan Perumal Temple is The Moolavar Sri Kuda Maadu Koothan Perumal. "Ari" means one who makes the sin's to vanish. As the Lord of this place Vanishes our sins, this place is called as Arimeya Vinnagaram. Lord Shiva is well known from his dances. Lord vishnu too gains the name as a good dancer by performing the "Kuda Koothu" dance and got his name as Kuda Maadu Koothan. Sri Kuda Maadu Koothan Perumal Temple is Located at Nangur near Sirkazhi in Tanjore,Tamilnadu.Sri Kuda Maadu Koothan Perumal is a Hindu Temple dedicated to Lord Vishnu. This Temple is also Known as Arimeya Vinnagaram ,Kuda Maadu Koothan . 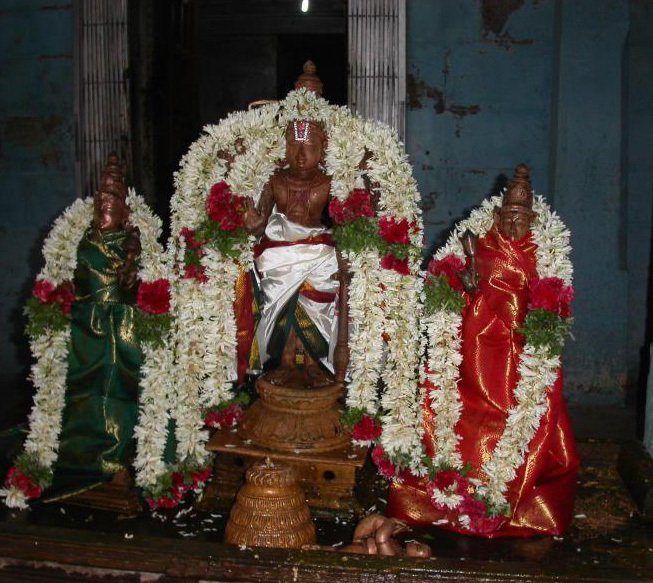 The Presiding deity of this Temple is Sri Kuda Maadu Koothan Perumal. The Lord Kuda Maadu Koothan gave his graceful dharsan to Uthang Maharishi.Uthanga Maharishi was the son of Uthunga Maharishi and Gunavathi got married to Prabhai. Once a Crocodile took her away when both were taking holy bath in river Ganges. Uthanga Maharishi got vexed and roamed in many places and finally came to Thiru Arimeya Vinnagaram. There Kuda Maadu Koothan gave dharsan to him and said that his wife has attained Mukti (eternity) and got him out of his sorrow. The temple has a 3-tier gopuram. It is surrounded by paddy fields and is located in Thirunangur, a small village, 10 km away from Sirkali en route to Thiruvenkadu. The temple tank is located north of the temple. Sage Uthankar is believed to have worshiped the presiding deity of the temple. 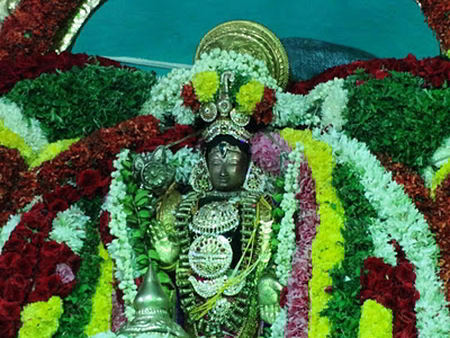 Sri Soumya Narayana Perumal temple, Sivaganga, Tam..
Abaya Pradhan Temple, Thiruvithuvakoodu, Palakkad,..